Wine To Water recently completed construction on 34 running tap stands in the community of Dahakhani. A project that took volunteers and community members 12 months to complete. There’s more work to be done. Making a donation today—whether it’s a recurring payment or a one-time gift— will have a transformational impact today and for generations to come. There’s something special about turning the pages of this story with your own hands. That’s why we’re making it possible to order copies of the premiere edition of our magazine. In it, we share the incredible story of Dahakhani through beautiful images and powerful words. 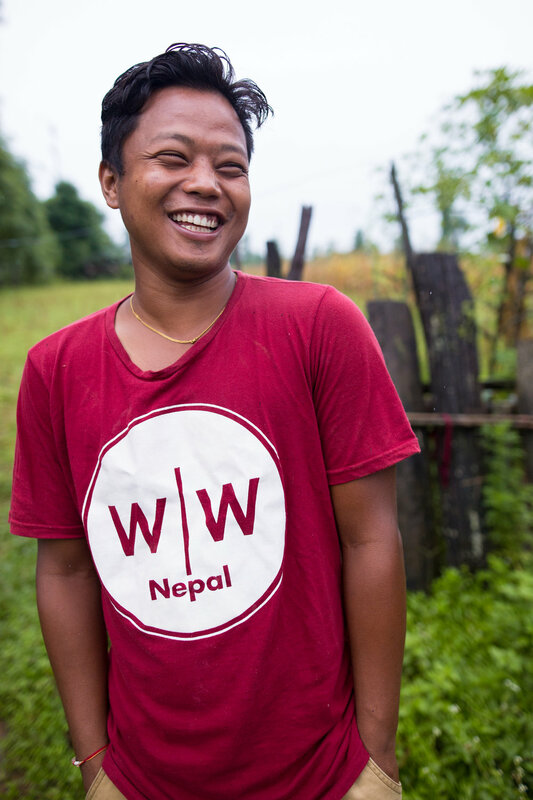 Sit down with your loved ones and read more about how clean water has transformed the lives of Lilu, Lalu and many others. The story from Dahakhani is bigger than any video or magazine can hold. Scroll through the gallery below for even more images and updates. Our hope is that in doing so you’ll come to understand why we firmly believe that when we stand shoulder to shoulder and work hard together, we can resolve the Global Water Crisis—one person at a time. Young girls in the community would often need to fetch water three or four times before leaving for school. Many times they would be late for classes. It is with overwhelming gratitude that we thank all of the Wine To Water supporters, volunteers and members of The Tap who helped bring clean water to our friends in Dahakhani. This story has only just begun. Wine To Water and the residents of Dahakhani partnered together to transform the lives of 160 families with clean water. This project took volunteers and community members nearly 10,000 hours and 12 months to complete. Part of the work included digging a four-kilometer long trench by hand.